With the new year approaching, that means new models are being released and are available at dealerships around you. Along with the new 2019 models means that there are new features and accessories to look forward to and check out. 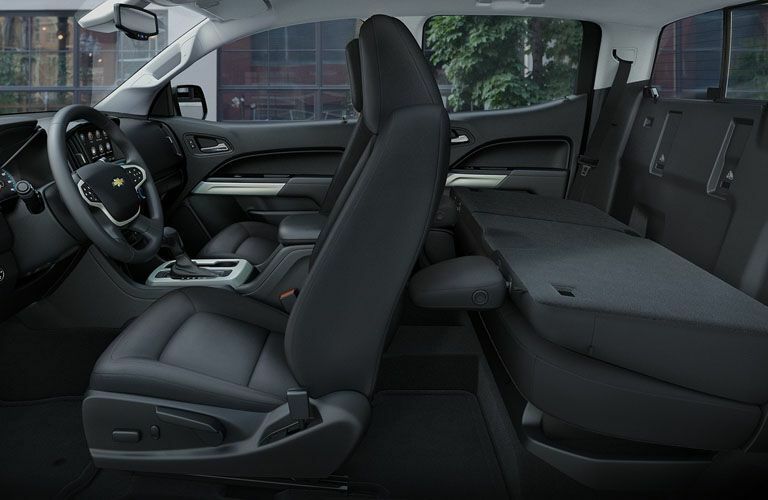 If you are curious what a 2019 model has to offer, you can check one of them out at Harbin Automotive – the 2019 Chevy Colorado. 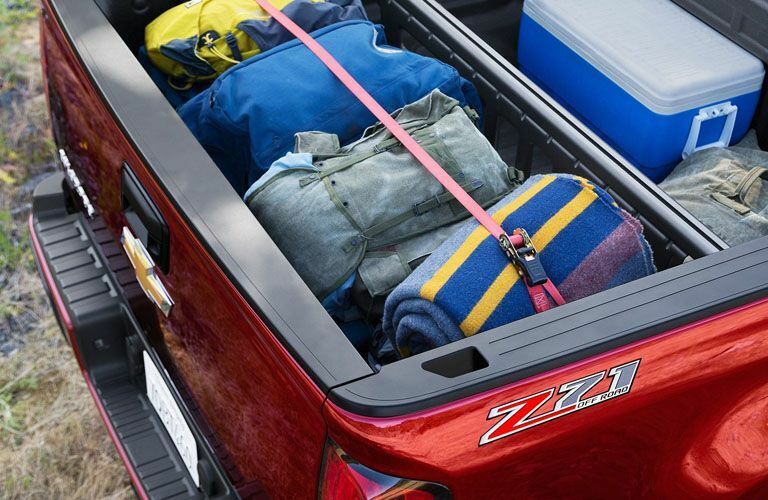 The 2019 Chevy Colorado makes driving a truck a fun experience. This midsize truck can tow up to 7,700 pounds and has an available 308 horsepower. The all-new Colorado is offered in four different special editions for customers to choose from – Redline, Midnight Z71, Custom and ZR2 Dusk and Midnight. Each model makes their own statement with their different features. 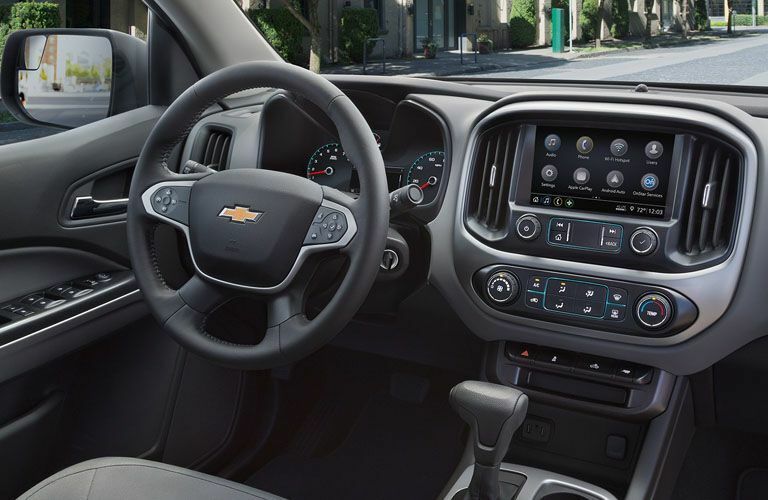 Click on the button below to view our Chevy Colorado inventory or continue reading to learn more about the 2019 model! 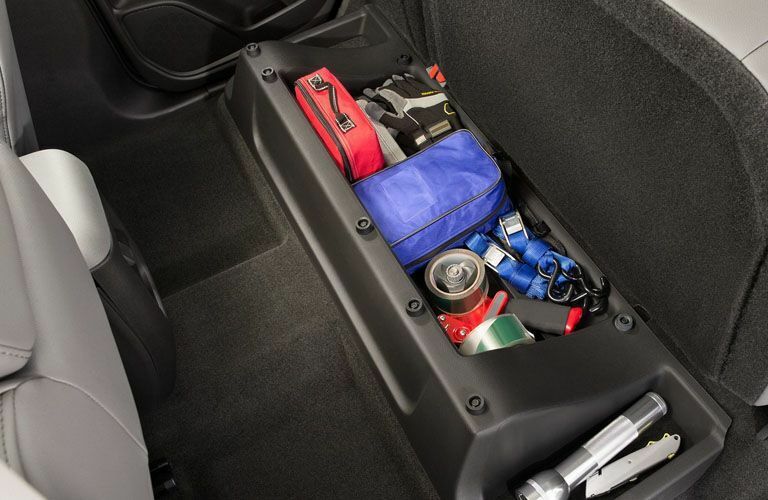 Just like the all-new 2019 Chevy Colorado has options for the different model editions, it also has different choices for the engine. The Colorado is offered in three different engines, the standard 2.5-liter I-4, the available 3.6-liter V6 and the available GM-exclusive Duramax® 2.8-liter Turbo Diesel. The standard engine provides 200 horsepower and 191 lb-ft of torque while getting an estimated fuel economy of 20 city and 26 highway mpg. The 2.5-liter engine also has the towing capability of 3,500 pounds. The 3.6-liter DOHC V6 engine provides drivers with 308 horsepower and 275 lb-ft of torque. It has a towing capability of 7,000 pounds and a fuel economy of 18 city and 25 highway mpg. Finally, the Duramax® 2.8-liter Turbo-Diesel engine provides 181 horsepower and 369 lb-ft of torque along with a towing capability of 7,700 pounds and a fuel economy of 20 city and 30 highway mpg. Drivers interested in the 2019 Colorado will have plenty of options to choose from. If you are interested in learning more information about this truck, click on the button below! What is the 2019 Chevy Colorado capable of? Should I get the Chevy Colorado or the Ford Ranger?